This is a die-cut Greene King Fine Ales porcelain sign. 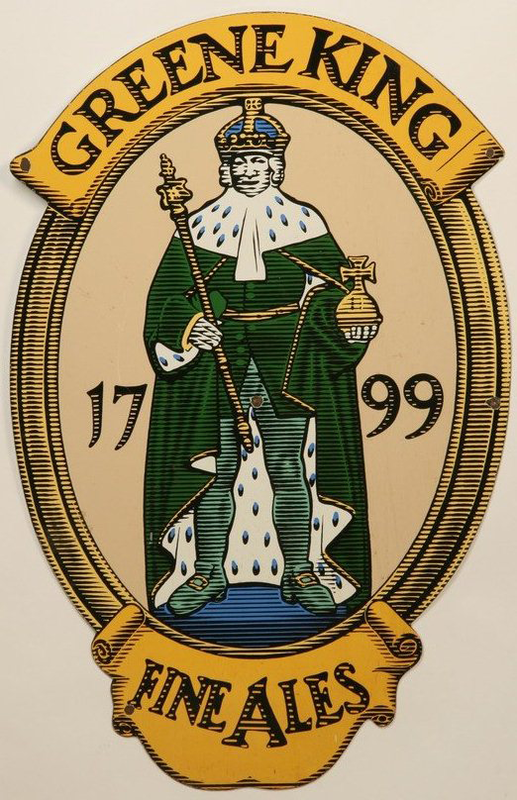 This particular Greene King Fine Ales sign is very colorful and features a king holding a scepter and wearing green robe in the center. It reads, “Greene King, 1799, Fine Ales” in black on yellow banners at the top and bottom of the sign.